Perfect for model railway turntables. 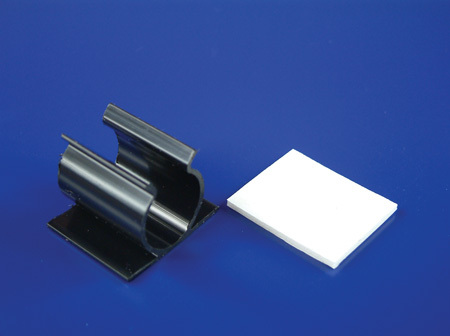 Easy to dismantle polycarbonate gear casing enables the ratio of gears to be altered, utilising the spacers provided. The set contains all parts illustrated above plus batteries, battery holder, switch, cable and wiring diagram. Ratio obtainable range from 625rpm to only 2.6rpm. Final drive shaft is 4mm diameter. 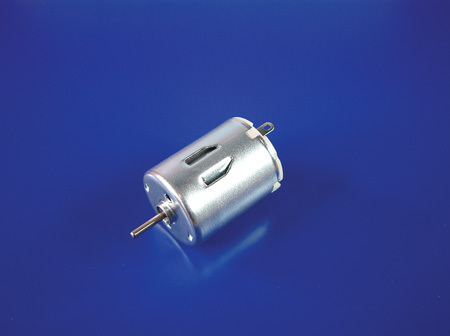 Miniature 4.5V Motor MM28 - Pack of 2. Miniature 3V Motor RE130 - Pack of 5. 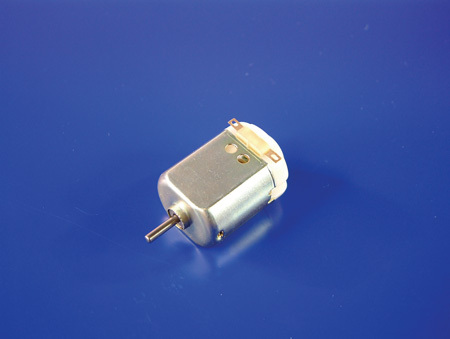 Miniature 3V Motor RE140 - Pack of 5. Includes all items illustrated: 6 Gear Wheels, 2 Worms Gears, Plus Steal Shaft for mounting them on. 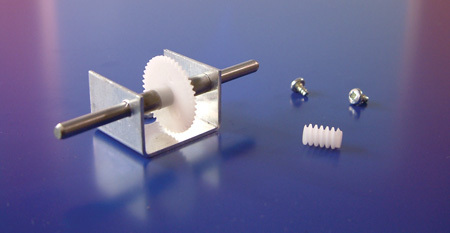 All gears have a 2mm hole suitable for use with A26030 and A26031 Motors (above). 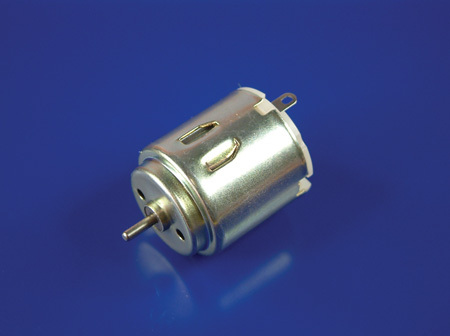 Suitable for use with motors: A26022 or A26023. Motor Fixing Screws included. 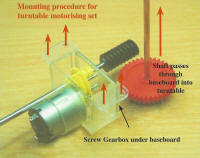 Gear Ratio: 42:1, Output Shaft: 4mm Diameter. Outside diameters: 40, 30, 20, and 10mm. 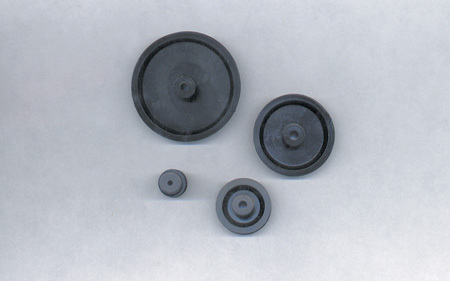 The 10mm pulley has a 2mm centre hole. The others a 3mm hole. Suitable for use with motors: 260-22/23/24/30 and 31. Double sided self adhesive pad included.